Week Eleven..What and Where is this! 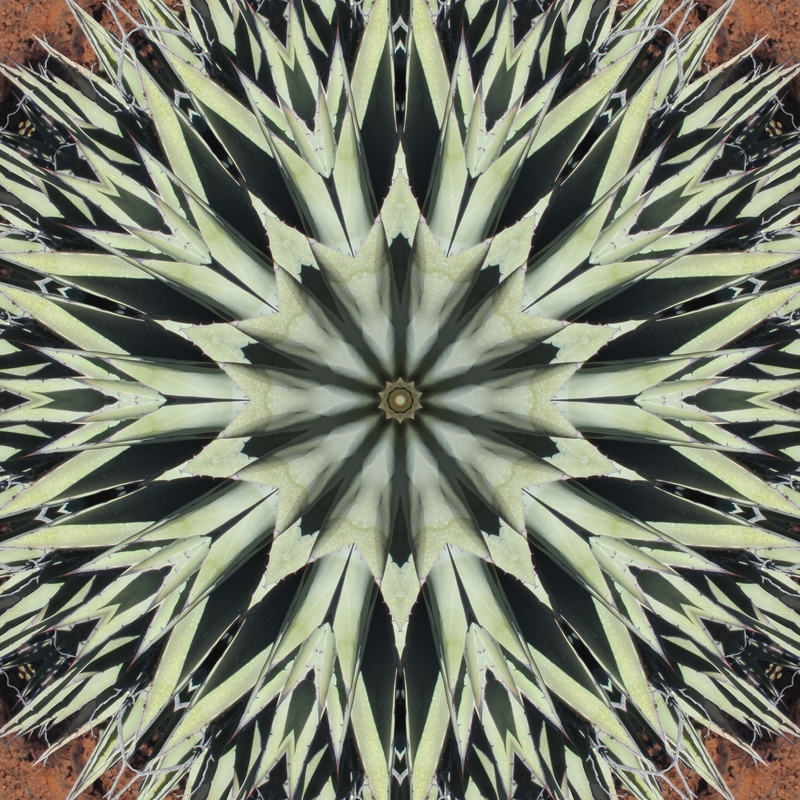 A beautiful agave. 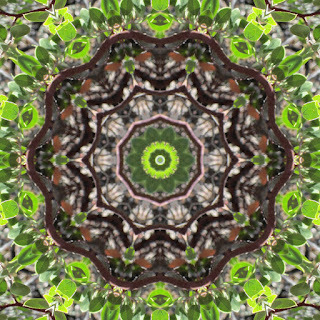 The strong light and dark patterns made choosing the section of the photo difficult as I created many different versions. Week Ten..What and Where is this! 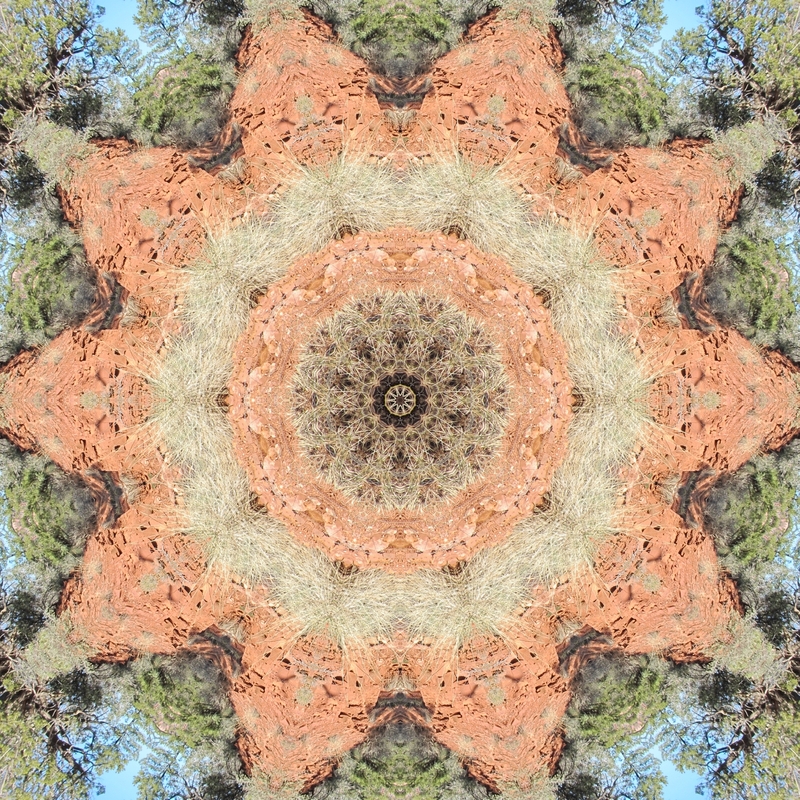 The ultimate Sedona scene created a wonderful kaleidoscope this week. 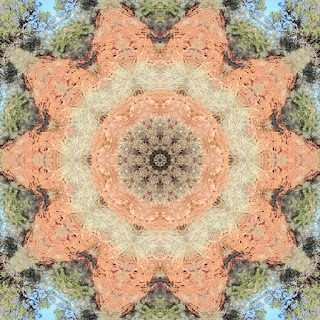 Winter grasses, red rock canyon walls, pinyon trees and blue skies created the palette of colors. Week Nine..What and Where is this! Things are a whirlwind with 3 full time carpenters working on our investment property at 10850 E Oak Creek Trail. 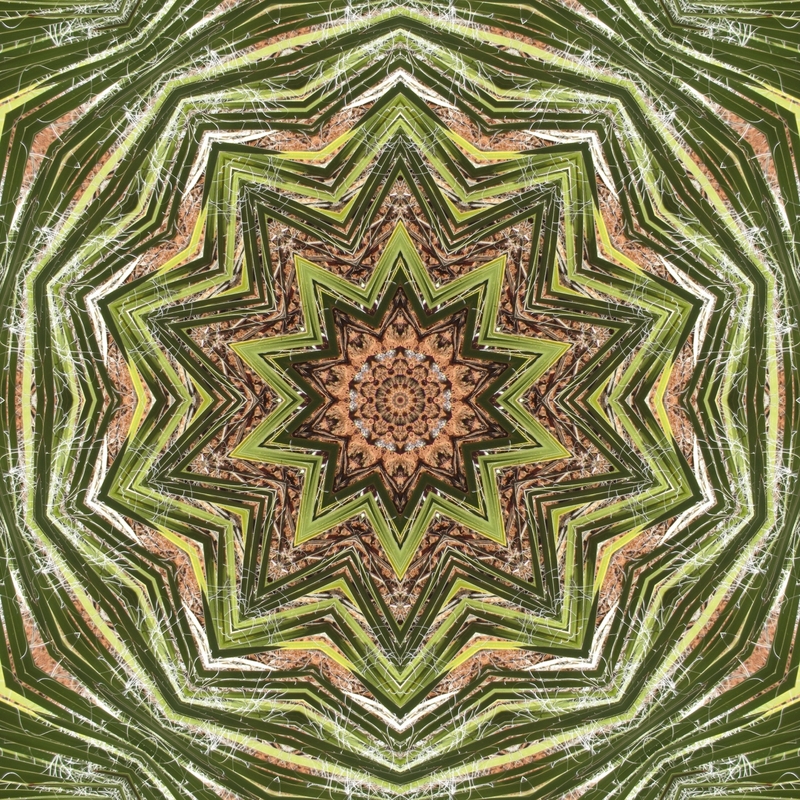 I am taking a brief break from landscaping and construction management to do this kaleidoscope. 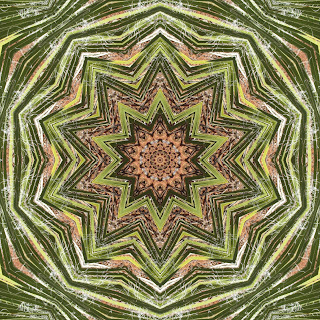 Next week Michael begins the busiest part of his season for paintsedona.com and we have rented a temporary studio on Jordan Road in downtown or uptown Sedona whatever it is called!. It looks like we did that just in time because after 8 weeks of absolutely no precipitation, we are maybe going to get a few sprinkles next week. 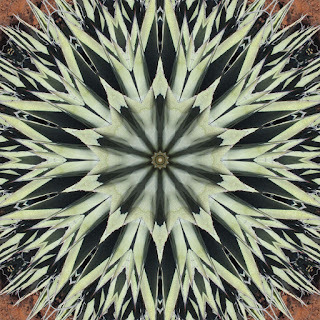 The reddish soil against the green yucca blades was beautiful and made a nice kaleidoscope don't you think! Week Eight..What and Where is this! Today, we had a chance to try an entirely new trail called the Chuck Wagon trail in Sedona. It starts off the road to Long Canyon and winds through typical Sedona vegetation: arizona cypress, manzanita, juniper, prickly pear, narrow leaf yucca, and the century plant. Today I was captivated by the manzanita which was blooming already and which I learned is a type of heather! 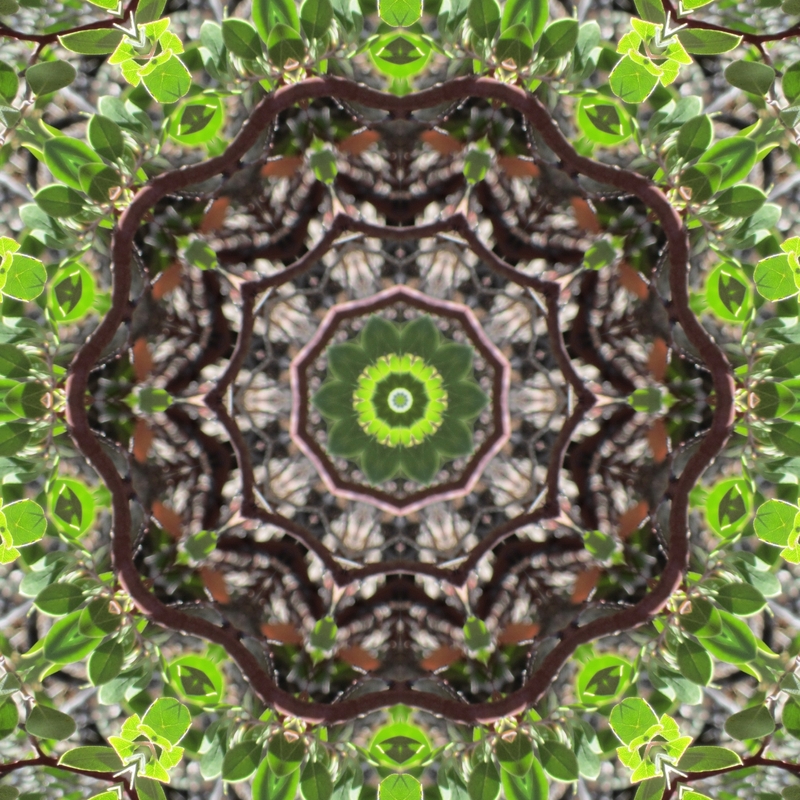 The blooms, the green leaves and the red smooth bark are beautiful: http://naturesongs.com/vvplants/manzanita.html. It was a great day off from the construction site, although I did put a few hours in on the renovation even today! If you are interested in an affordable renovated 3 bedroom, 2 bath home with den, carport, insulated storage, and covered back deck, please see my blog. Pictures will be forthcoming when the project gets a little further along . However, if you want to pick paint colors and flooring, please contact us soon.... The house has nice views and lots of trails along Spring Creek and Oak Creek to enjoy in this gated community.